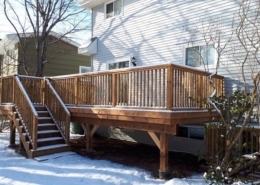 Earth Tone Ecological Treated wood is the trend for decks of 2016. 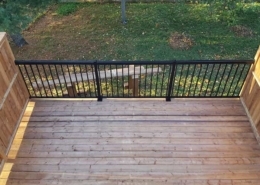 The golden brown is beautiful and rich. 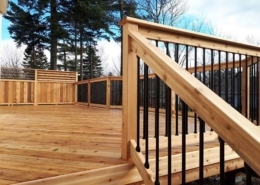 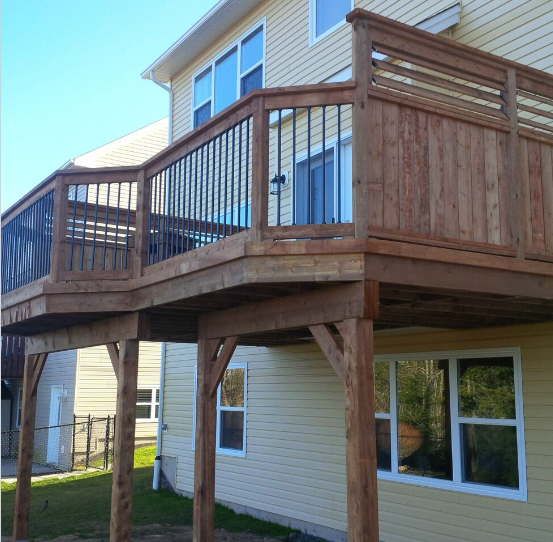 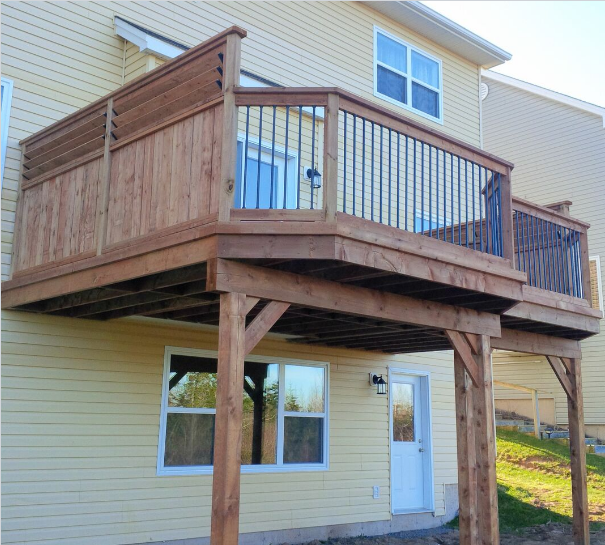 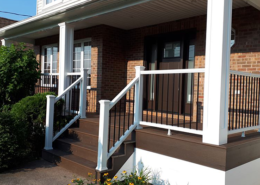 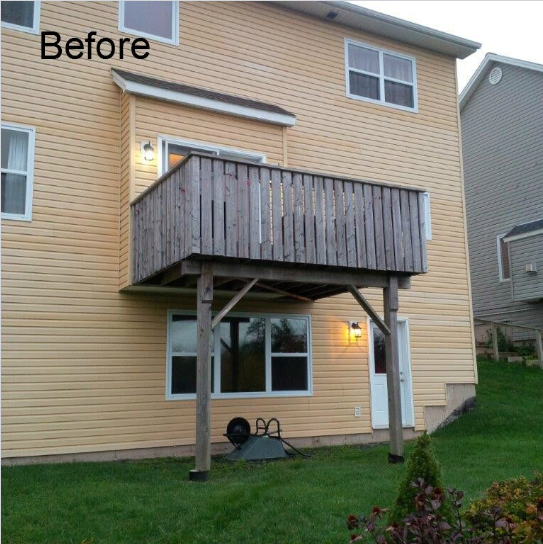 This deck has custom louvers and a railing system designed with Deckorator black balusters.